Don’t like reading? 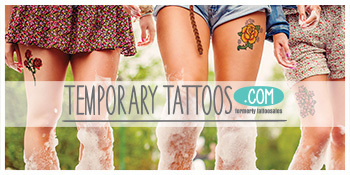 Try our video on temporary tattoo application, instead. Optional Use scissors to cut out your tattoo. If the design is NOT part of a sheet with multiple tattoos, this won’t be necessary. Step 1 Decide where you want to apply the tattoo. These aren’t permanent but we pride ourselves on the lifespan of our tattoos, so make sure you have it where you want it for up to 7 days. When you have a perfect position, peel the plastic cover off of your temporary tattoo. Step 3 Get your cloth, towel or sponge wet and dab it on top of the tattoo paper, covering the entire tattoo. Be sure to completely saturate the paper because the water is what releases the tattoo from the paper. Hold this for 30-60 seconds to ensure the whole tattoo is transferred. Step 4 Peel the paper off to get a look at your new body art! Step 5 This step is our little secret. Before you go show off your new tat, dab off the excess water and rub just a tiny bit of lotion on it to add a little vibrancy and extend the lifespan of your tattoo! All done! At this point, the tattoo application is done and looking great. It will stay on for 5 – 7 days with normal wear-and-tear, and a few days if you’re out there rolling around in the mud! 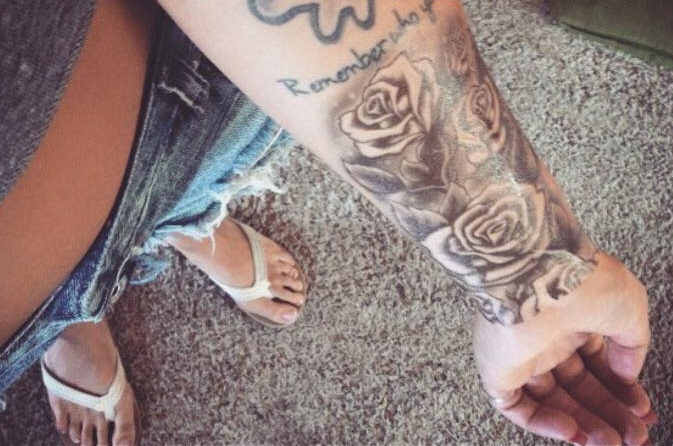 When you’re ready for something new, be sure to check out our article on tattoo removal! I always clean my skin with rubbing alcohol first and let it dry to make sure no oils get in the way of the wear of the tattoo. They always stay so nice that way. They don’t flake as much.